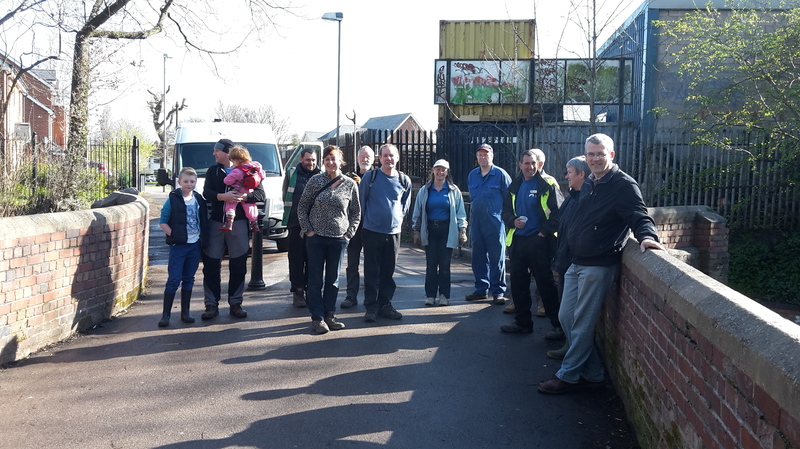 What a wonderful turn out of enthusiastic locals we had on Saturday for the first ‘Adopt a Stretch of Canal’ project we had. The sun shone and we met Steve Lambert the friendly and helpful Volunteer Co-ordinator from the Canals and River Trust. All equipment was provided and the group worked for 2 hours to fish rubbish from canal and towpath and other improvement work. There are lots more jobs planned for future work days including sanding and painting railings and other repairs and maintenance. Also a a working boat will be coming along our stretch on 29th/30th April and volunteers are invited to get aboard and help clear rubbish from the bank and water. Please contact us if you would like to be put on the mailing list for latest updates on how to get involved. The community spirit is running high as next Sunday 19th April volunteers are invited to come along to a Spring Clean Up Day at Westley Vale Millennium Green, with free refreshments for all helpers. All the details are here. Also check out some lovely spring photos taken by local resident Tom on the updated Westley Vale Millenium Green page. 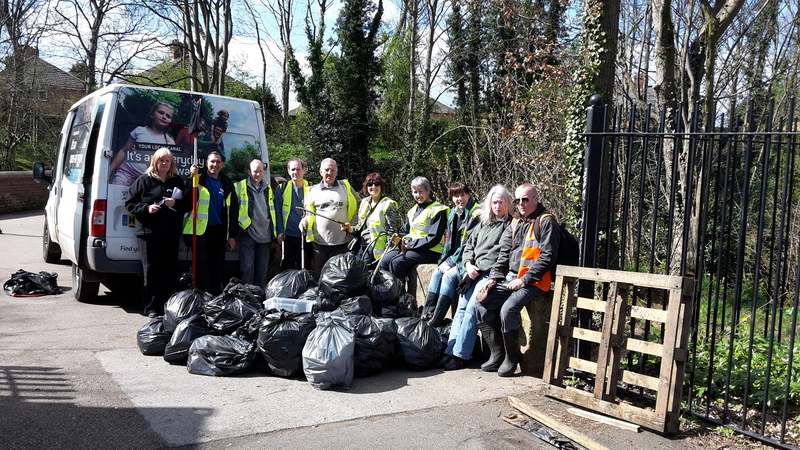 This entry was posted in Events, News, places on interest and tagged Acocks Green, Canals and Rivers Trust, clean up, Grand Union Canal, litter pick, Springtime, Steve Lambert, towpath, Vineries Bridge, volunteers, Westley Vale Millenium Green. Bookmark the permalink.